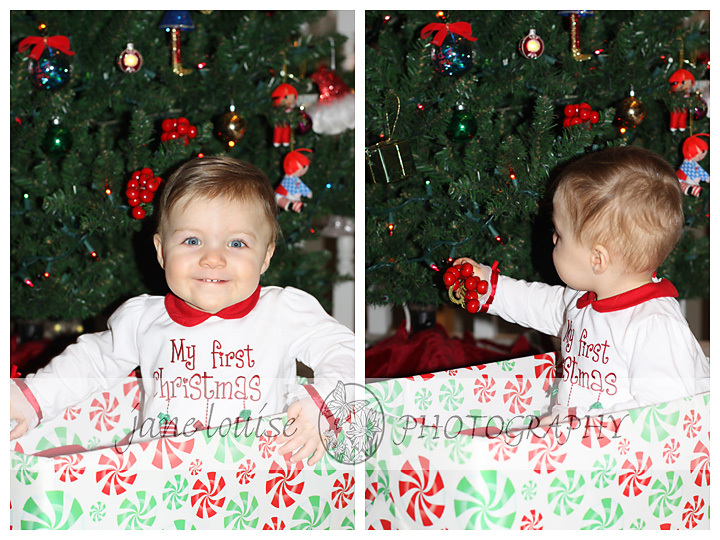 Ten month old Addison couldn’t be any cuter by her family’s Christmas tree! She’s a real doll, full of personality, and so photogenic. What a fun first Christmas her family will have this year with her! Look closely … One of the family’s cats sneaked into the photo too! Now that’s the cat’s meow! 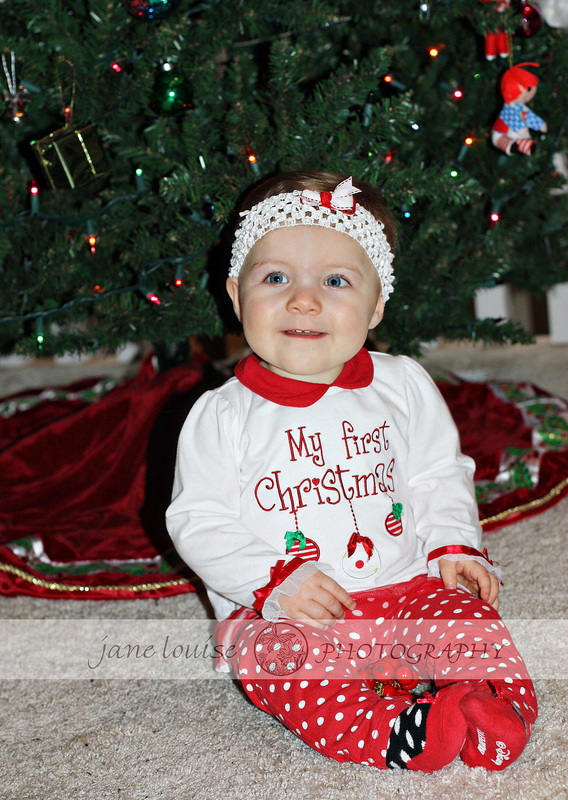 Happy First Christmas, sweet Addison! 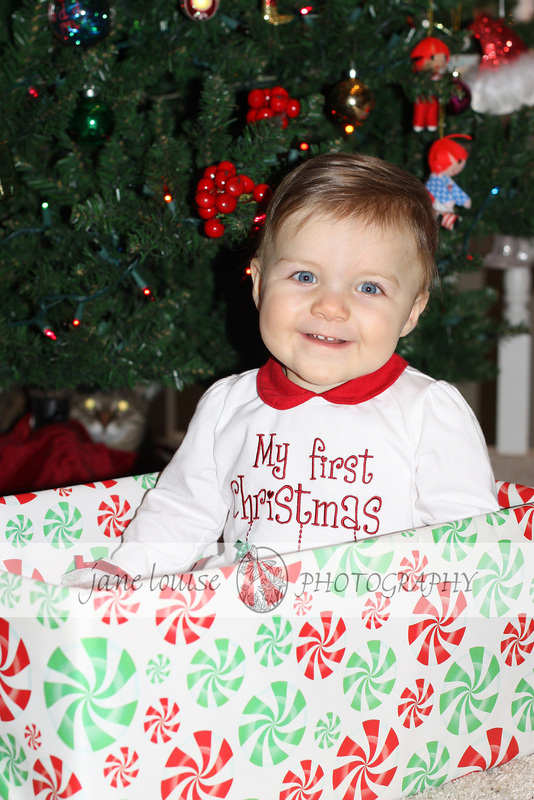 This entry was posted in babies and tagged babies, Christmas, natural light, Snapshots of daily life, St Louis area photographer of families and children. Bookmark the permalink.